The Boatswain was ranked as a Warrant Officer. Our model shows him in a distinctive blue Coat and Tails. He has the "Boatswains Call" - a whistle worn by a cord around his neck and around his back he carries a cane. 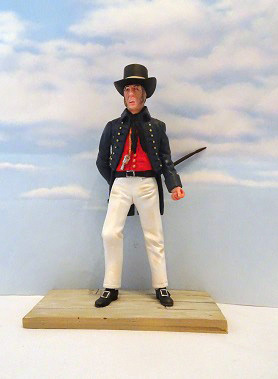 This model will complement any "Trafalgar" diorama or makes a good standalone subject.